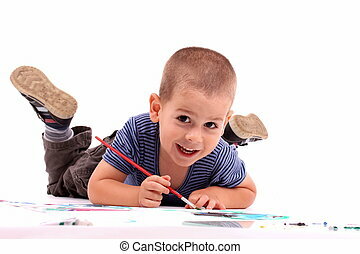 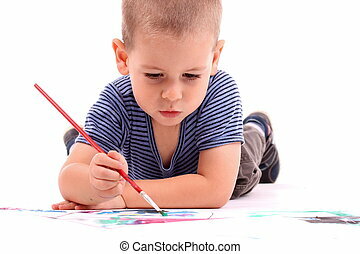 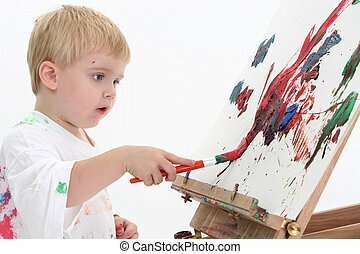 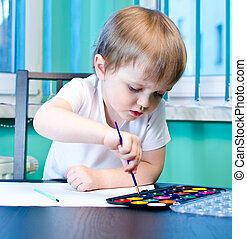 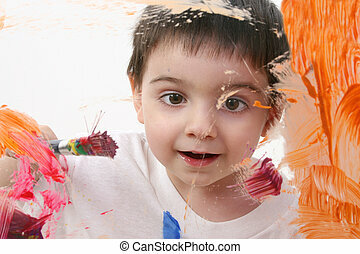 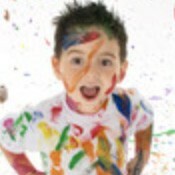 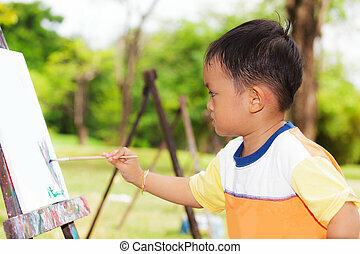 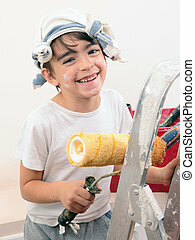 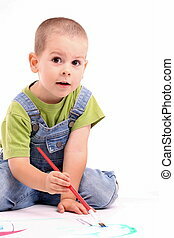 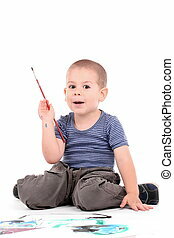 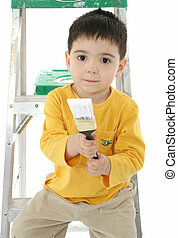 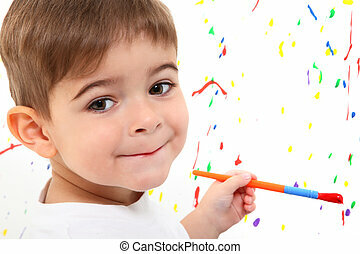 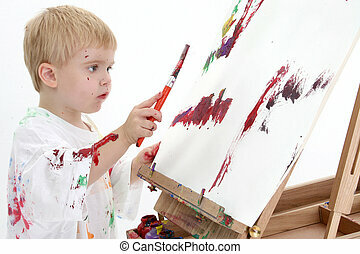 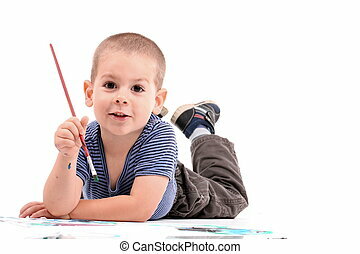 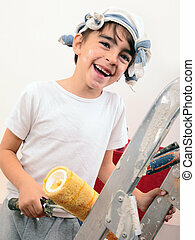 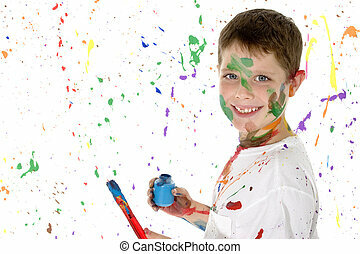 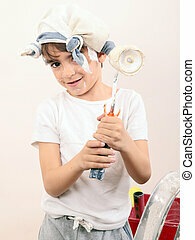 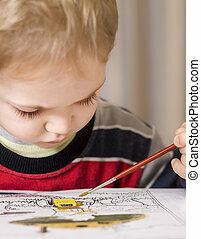 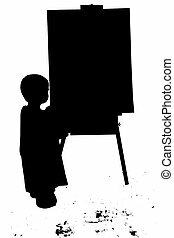 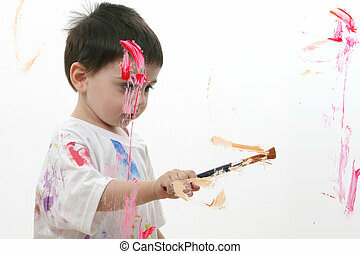 Boy painting. 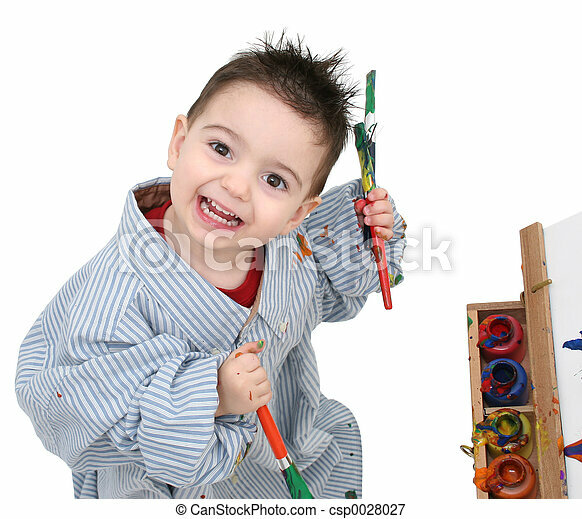 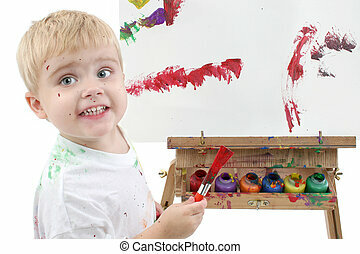 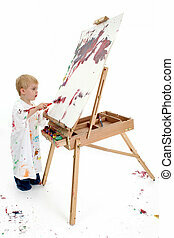 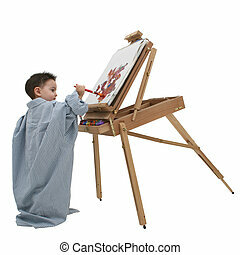 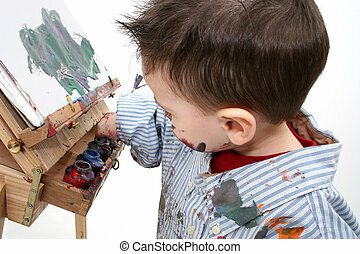 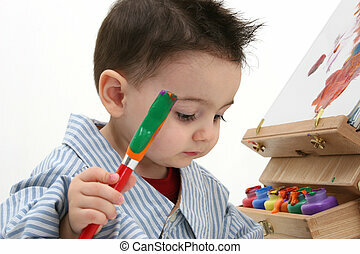 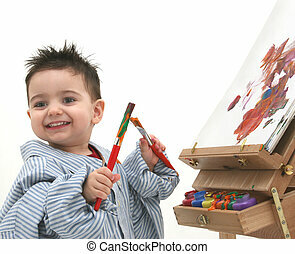 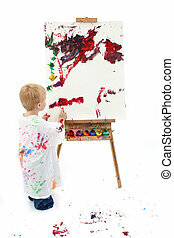 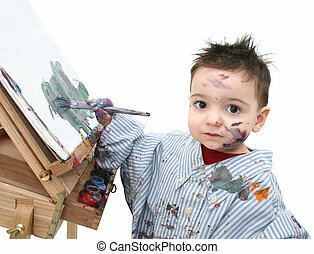 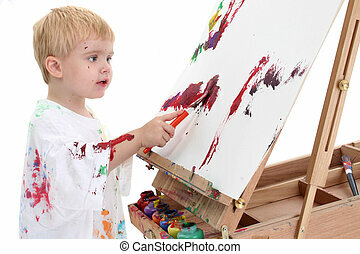 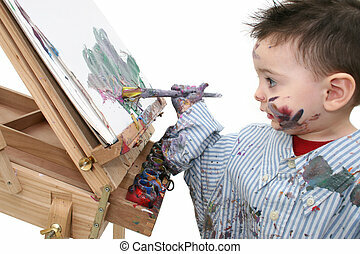 Small boy in dad's shirt painting at a wooden easel. 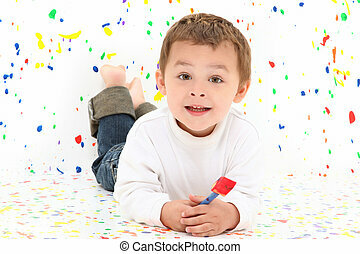 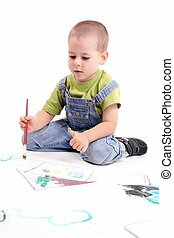 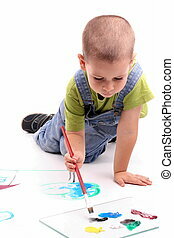 Adorable Toddler Boy Painting On Glass. 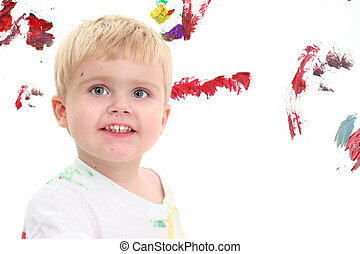 Shot through glass over white background. 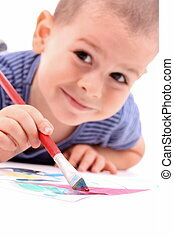 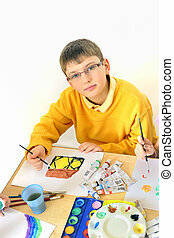 Handsome 8 year old boy painting.